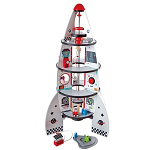 Looking for a unique birthday or Christmas gift idea for a young boy or girl? 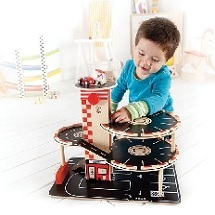 Than check out our amazing range of wooden indoor playsets. 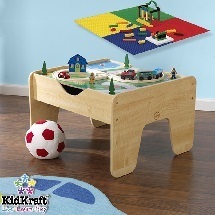 Whether you want to buy a wooden train table set, car racing set or a pretend play wooden pirate set, we have got you covered. 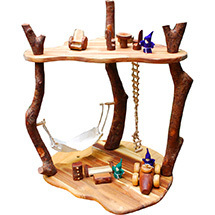 Our wooden indoor playsets encourage imagination, movement and interaction with friends and siblings. 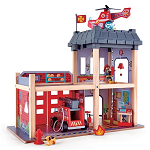 For children who love all things that move, such as toy cars, helicopters, ships and trains, these wooden playsets will give them hours of endless fun and play. 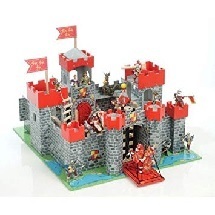 For something more unique, boys and girls can build their own wooden castle forte with our eco-friendly, solid wood toy castle set by Qtoys.